We have a thing that we do called locking the toggles: when you lock the toggles on a receiver you can actually tow him. So we did that, and kept giving him fuel. For 60 years, the iconic KC-135 Stratotanker has executed rapid global mobility through unmatched aerial refueling and airlift support worldwide. Throughout the many major events the U.S. Air Force (USAF) has been a part of, this aircraft continues to stand the test of time. As you can read in the following article titled 60 YEARS IN THE AIR: The KC-135 during the Vietnam War and written by Airman 1st Class Tara Fadenrecht, 22nd Air Refueling Wing Public Affairs, the KC-135 played a decisive role during the Vietnam War too, where the Stratotanker not only allowed heavy fighter-bombers to reach North Vietnamese targets and return, but also towed them back to their bases when they were badly damaged by enemy action. “Mayday! Mayday! Mayday! We’ve been struck by a missile,” called the voice on the radio. The transmission blared over the headsets of the crew on a KC-135 Stratotanker about to return to base after a successful refueling mission in the midst of the Vietnam Conflict. Retired Maj. Jim Hickman was the navigator on that tanker crew that received the distress signal and he vividly remembers the events that transpired shortly after. The crew members exchanged glances and began weighing their options, when Hickman made the call. “Let’s go get him,” he said. The tanker crew called back over the radio, verified the location of the distressed F-111 Aardvark and headed north until the two aircraft were in view of each other. “He pulled in behind us, we got the boom into the receptacle and started transferring fuel,” said the retired navigator. It wasn’t until the boom operator saw fuel spilling out of the aircraft that they realized the extent of the damage to the fighter. Getting the aircraft and its crew safely back to base was going to take a bit of ingenuity. The KC-135 towed the fighter through the skies of North Vietnam back to Thailand. 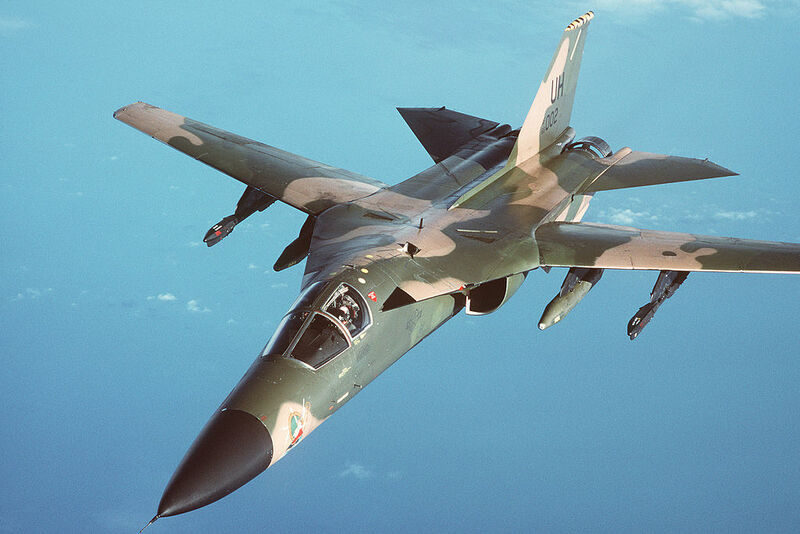 When they got close to the base where the F-111 was operating out of, the boom operator unlocked the toggles, disconnected and the fighter glided in for a safe landing. The KC-135 aided more than just that endangered F-111 crew. A major role of the tanker during this time period was to assist the B-52 Stratofortress. This print is available in multiple sizes from AircraftProfilePrints.com – CLICK HERE TO GET YOURS. F-111F Aardvark 48th Tactical Fighter Wing, 495th Tactical Fighter Squadron, LN/70-2391, RAF Lakenheath, UK, 1991. 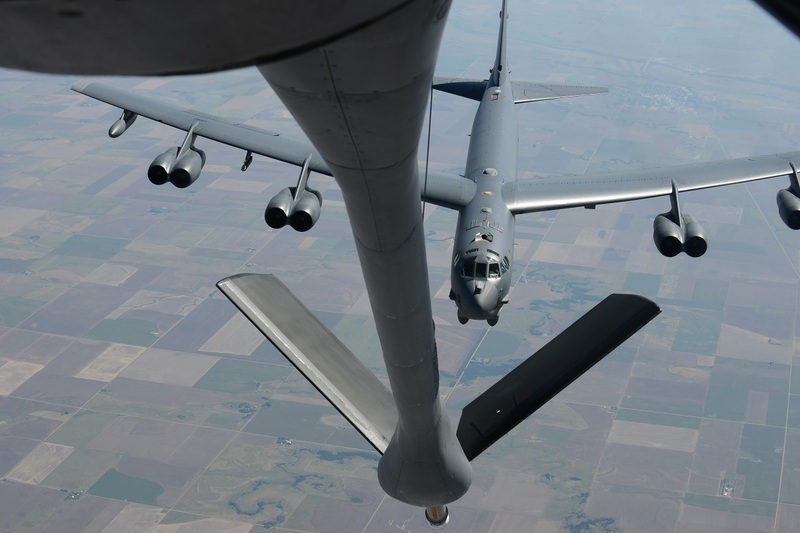 Thanks to the help of the tankers, B-52 crews made it to their destination and carried out their mission, helping save the lives of countless U.S. forces. The only thing left after a successful mission was to get back to base safely. Once again, the KC-135s made their presence known. 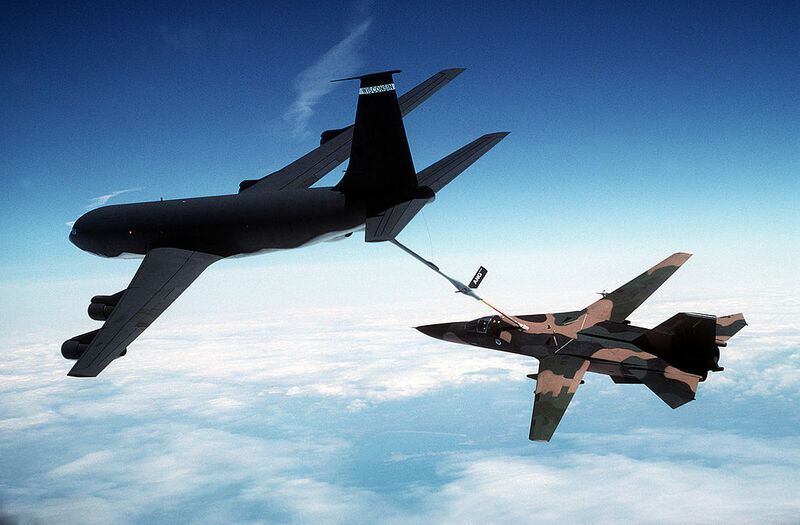 An F-111 was never towed by KC-135!